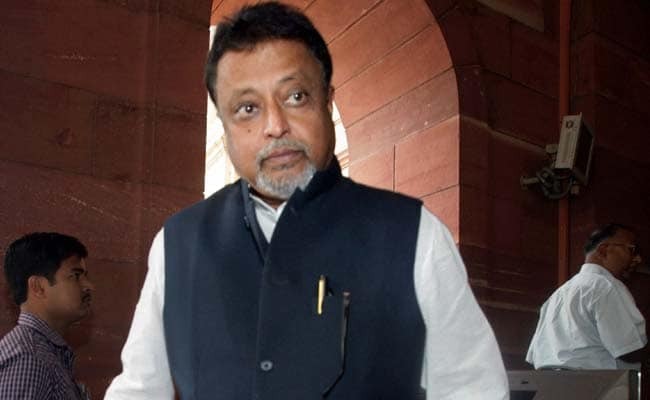 Mukul Roy, once West Bengal Chief Minister Mamata Banerjee's right hand man but no longer, reported to CBI's Nizam Palace office at 11 am and while leaving six hours later, said, "I am the only person in the Narada video who does not take money." Kolkata: On a day BJP chief Amit Shah met party workers in Kolkata in a closed door meeting and told them, reportedly, that they must literally fight the Trinamool, two Trinamool leaders seen on the Narada sting operation tapes walked into the offices of central agencies to give their statements. Sources claim their party was taken aback, that Trinamool was not aware of their plans. The two Trinamool leaders were Rajya Sabha MP Mukul Roy and Bengal transport minister Suvendu Adhikari; Mr Roy went to CBI, Mr Adhikari to Enforcement Directorate. "At that time, elections were coming, many people came and made donations. I can't remember all," he added. "I have answered all questions asked by CBI. I was not asked for any documents. They did not ask me to come again." CBI issued summons to Mukul Roy on Friday. Transport minister Adhikari had beaten Mr Roy to it. He showed up at the ED's office at Salt Lake at the unusual hour of 845 am. This, after ignoring 4 summons. When he left five hours later, Mr Adhikari said, "I have confirmed I took the money and gave it to the party funds." Sources say he will go to CBI on Friday. Sources say another Trinamool leader seen on the Narada tapes taking cash - there were 12 - has been summoned by CBI to appear on September 13. Madan Mitra was the former transport minister of Bengal. He spent over 20 months in jail for links with the Saradha Ponzi scam. He is currently out on bail. On Friday, Trinamool chief Mamata Banerjee had sad at a core committee meet of the party, central agencies would harass leaders. "It's a conspiracy. Don't be scared," she is reported to have said. She also told the core committee meet - where Mukul Roy, Suvendu Adhikari and Madan Mitra were present - that if any Trinamool leader wanted to go to some other party, the door was open. Amit Shah is in town till 13 September, sparking speculation if it was indeed mere coincidence.